Bruce Campbell is a cult hero in the horror film world. I think it has a lot to do with his huge jaw and seemingly great personality that oozes through all the campy, gorey, spooky movies he’s been in. 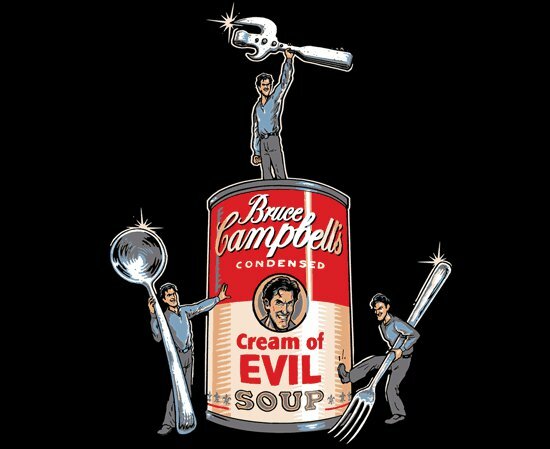 Nice soup can horror film mashup. Bet you didn’t think you’d ever see that combination, while you were still alive. I like that he’s holding a fork, spoon, and can opener in different poses.